One could claim that 1991’s Beauty and the Beast offers Disney’s greatest achievement, thiugh hat opinion wouldn’t relate to the film’s financial success. While Beast earned a more-than-respectable $145 million, that didn’t compare with the megabucks raked in by subsequent hits like 1992’s Aladdin and 1994’s Lion King. Also, while Beast certainly stands as one of the studio’s stronger animated movies, it doesn’t quite approach the heights of their best material. As much as I like it, I’d pick a few others like Pinocchio as superior films. 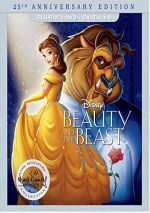 However, Beast enjoys one claim to fame that no other Disney flick could make prior to 1991: it represented the first animated film to earn a nomination for Oscar’s Best Picture. It didn’t win - The Silence of the Lambs nailed the prize – but this achievement still merits a lot of respect. Beast sparked the renewed interest in animation that eventually led to the creation of a “Best Animated Feature” slot. Beast continues to shine as a Disney classic. It also stands as the film that brought me back into the Disney animation fold. I enjoyed their works as a kid, even though that meant I endured dreck like 1977’s Rescuers and 1973’s Robin Hood. I essentially missed the studio’s 1980s phase due to my age, as not a lot of teen boys dig those kinds of cartoons. By the time that Beast arrived in 1991, I was 24 and more open to this sort of material, a fact aided by the movie’s grand reception from critics. I really liked Beast when I saw it theatrically, and it helped ignite a slow-burning interest in Disney animation within me. I wouldn’t become fascinated by the studio’s full roster of films until the end of the 1990s, but without the positive adult reception accorded Beast, this may never have occurred at all. The film then moves ahead a few years and lands us in a small French village. There we meet Belle (voiced by Paige O’Hara), an intelligent, lively and beautiful young woman who feels constricted among the narrow minds in her provincial town. Town hunk Gaston (Richard White) sets his romantic sights on Belle, largely because none of the other women seem quite as lovely as she. However, Belle feels no interest whatsoever in the crude, crass, and self-absorbed lunkhead. Belle sets out to find Maurice, and when she does, she strikes a deal with the Beast: to spare her father, she trades places with him. The castle’s staff – as highlighted by Cogsworth (David Ogden Stiers), Lumiere (Jerry Orbach), and Mrs. Potts (Angela Lansbury) – all hope that she will be their master’s true love. This will turn them human again, but they need to coach him through a rough start to set the pair on the path to romance. This threat ruptures the Belle/Beast romance and threatens the affected characters’ return to human form, as Belle doesn’t know they’re under some time pressure. (ndeed, Belle isn’t aware that the Beast is human and everyone will turn back if the couple falls in love. Nothing about the story of Beast seems revolutionary, though the film shows some growth above and beyond the stereotypical Disney realm. For one, the independent-minded Belle represents a massive leap beyond husband-obsessed babes like Cinderella, Snow White, and Ariel. Belle displays an interest in meeting a beau, but she doesn’t demonstrate great eagerness toward the subject, and she seems to hold out little hope that she’ll find someone who matches her intellectual curiosity. With the film’s two male leads, we find a reversal of the normal order. The ugly Beast represents the positive role model – though it takes him a while to get there – while the studly Gaston offers a buffoon at best and a psychopathic menace at worst. At times, this contrast seems a little too forced for my liking. It doesn’t always come across as a natural choice, for I occasionally feel like the filmmakers tried really hard to be different just for the sake of being different. Still, it works for the film, and the two reversed evolutions develop fairly naturally. The moderately subdued DTS-HD MA 7.1 soundtrack of Beauty and the Beast didn’t quite compare with the visuals, but it worked well for the material nonetheless. The track usually featured a forward emphasis, though this broadened during logical sequences. Music showed excellent stereo delineation, and quite a few isolated elements appeared in the side channels during production numbers. Effects also created a nice sense of atmosphere, and bits such as carts or other moving pieces panned smoothly from one side to the other. Overall, the various elements blended together cleanly. As for the surrounds, they usually supported the music and effects, but a few exceptions occurred. Most of those happened during the movie’s action climax, as the surrounds kicked into gear more compellingly. The wolf attacks also brought noticeable dimensionality from the rear speakers, and we even got some decent and accurate split-surround material at times. Nonetheless, this mix remained oriented toward the front, which seemed appropriate for this sort of film. Audio quality appeared solid. Speech came across as distinct and natural, and I noticed no signs of edginess or problems related to intelligibility. Effects sounded clean and accurate for the most part. They never displayed any signs of distortion, and they boasted positive dynamics. Music sounded bright and clear, and the songs offered fine range and delineation. Ultimately, Beauty and the Beast won’t be your demo soundtrack, but it worked just fine for this film. How did the 2016 “25th Anniversary” Blu-ray compare to the original 2010 BD? Both picture and sound seemed identical, as both discs provided extremely similar. The 2016 Blu-ray mostly focuses on new extras, but like its predecessor, it provides two different versions of the film itself. In addition to the original 1991 theatrical release (1:24:54), we get the 2002 Special Extended Edition (1:31:44). How do the two differ? The SE adds one song: “Human Again”, though some of the art after that song alters the material seen in the original. The servants clean the house during “Human Again”, which meant the animators needed to tidy up things from the decrepit state seen in the original movie. Does this scene make the movie any better? Not really. The original remains very good and is probably the best version – “Human Again” is a fun curiosity to see but not something that helps the film. 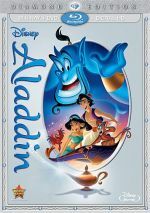 Next we find an audio commentary from directors Kirk Wise and Gary Trousdale, producer Don Hahn, and composer Alan Menken. The first three sit together for a running, screen-specific track, but Menken’s remarks seem to come from a separate session. Wise, Trousdale and Hahn cover many aspects of the production. From casting to story changes to animation challenges, you’ll learn tons of details about Beast, and due to their light and engaging style, you’ll have a lot of fun along the way. As for Menken’s contributions, he adds some useful details. He covers the creation of some songs and also provides cool notes like the direction that late co-composer Howard Ashman gave to Paige O’Hara for her “There’s Something There” vocals. Although I like Menken’s remarks, I still don’t understand why the disc’s producers try so hard to create the illusion that he sat with the other three. Maybe I’m wrong and he really did tape his comments alongside that trio, but I strongly doubt it. Why bother to attempt to fool us? It seems odd and pointless, but even so, this remains a terrific commentary. Beast provides something called a Sing-Along Edition. This provides subtitles for all the movie’s songs, so with this feature activated, lyrics pop up when any of the tunes appears. It does nothing for me, but some may like it. The remaining features are new to the 2016 Blu-ray. Always Belle runs 11 minutes, 32 seconds and provides notes from actor Paige O’Hara. She discusses her career and aspects of her work on Beast. Expect a highly fluffy piece that remains wholly superficial. O’Hara seems like a nice woman but this becomes a dull program. Next comes the 19-minute, six-second Menken & Friends: 25 Years of Musical Inspiration. It offers comments from Menken and musical writers Lin-Manuel Miranda, Stephen Schwarz, Robert Lopez and Kristen Anderson-Lopez. They chat about Beast and some parts of their work. Like “Belle”, a couple of minor insights emerge but “Friends” mostly focuses on happy talk. That makes it bland and forgettable. 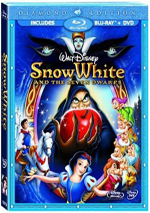 After this we get #1074: Walt, Fairy Tales and Beauty and the Beast. 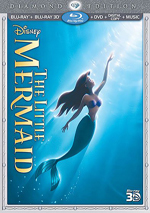 It lasts nine minutes, 36 seconds and provides statements from Hahn, Walt Disney Archives director Rebecca Cline, supervising animator Glen Keane, animator Frank Thomas’s son Theodore, and Disney art collector Dennis Books. It also includes archival recordings of Walt Disney. “Tales” looks at Walt’s long-ago interest in the Beast property and what happened to it. After the last two featurettes, “Tales” comes as a relief, as it actually provides useful information. We get a nice look at the possibilities created by this abandoned version of Beast. The Recording Sessions goes for three minutes, 48 seconds and provides an intro from Hahn. After his quick lead-in, we see footage of the voice actors as they work. It’s way too brief but it’s still a cool peek at these sessions. Finally, we find 25 Fun Facts About Beauty and the Beast. It fills five minutes, 24 seconds with info provided by Disney Channel actors Kayla Maisonet and Gus Kamp. As expected, they give us 25 trivia tidbits connected to the movie. A few minor insights occur but not anything especially memorable. The disc opens with ads for Moana and Finding Dory. Sneak Peeks adds promos for the 2017 live-action Beauty and the Beast, The BFG and Elena of Avalor. Under the “Special Features” menu, a separate one-minute, 24-second preview of the 2017 Beast appears, but we don’t get a trailer for the 1991 film. Lastly, a separate disc provides a DVD Version of the film. A bare-bones effort, it lacks any extras. What does the 2016 Blu-ray lose from the 2010 release? A lot – at least in terms of materials on the disc itself. Fans can access many of these extras digitally, which is some compensation, I guess – but not much. These elements should be on the disc itself. 25 years after its debut, Beauty and the Beast remains one of Disney’s best. It gives us a charming, emotional and entertaining fable. The Blu-ray provides very good picture and audio but loses most of the prior disc’s bonus materials – and subjects us to largely superficial new features. I still really enjoy the movie, but fans should try to find the 2010 Blu-ray, as it’s the superior package.